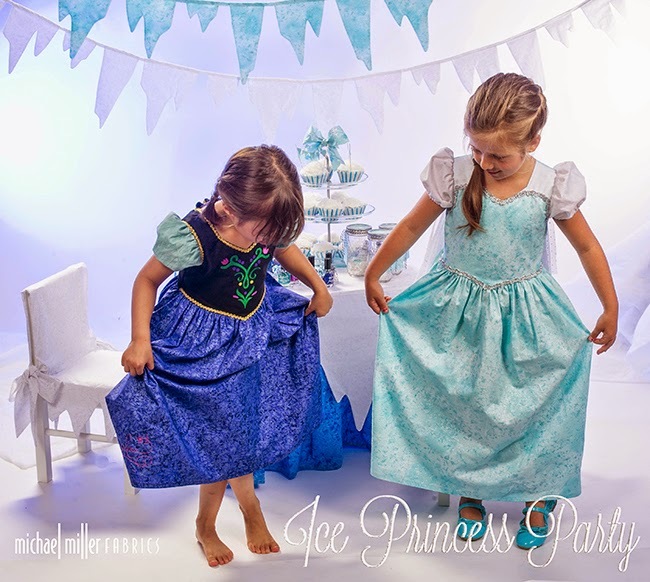 making it fun: It's a lovely time to throw an Ice Princess Party! 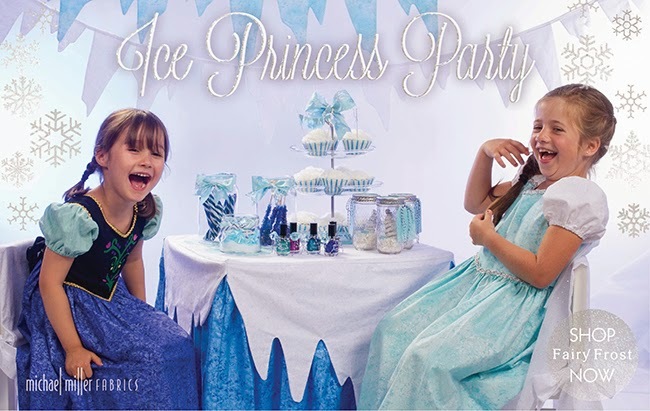 It's a lovely time to throw an Ice Princess Party! 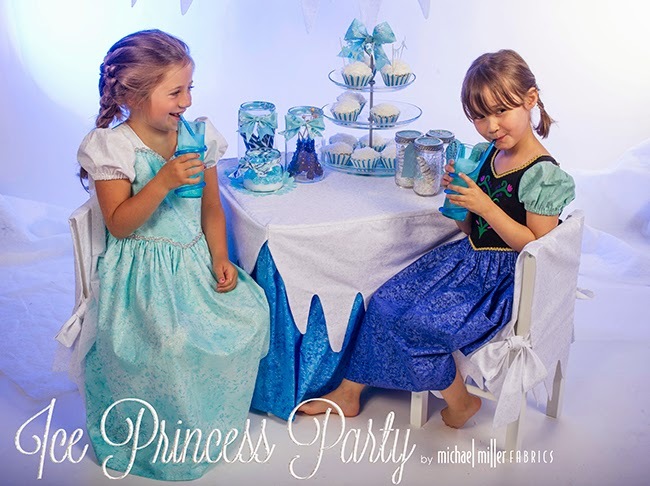 Last weekend we had a super fun Ice Princess Party! The girls wore beautiful princess dresses, played games, snacked on delicious treats and, of course, we all sang songs... I'm sure you can guess what they were ;) ...and now, you probably won't be able to get them out of your head! We played outside for a bit since it was a beautiful, sunny Saturday and I wanted the girls to run around before I brought out the cupcakes... 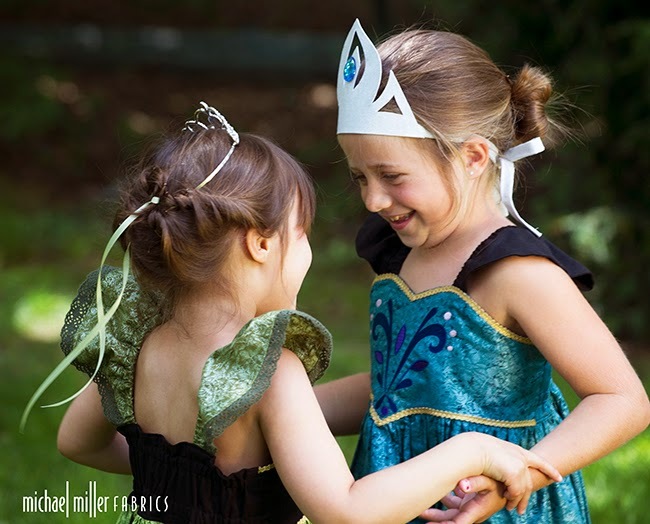 So, they put on their first princess dresses and the magic began! They were so happy... you can definitely see the joy. 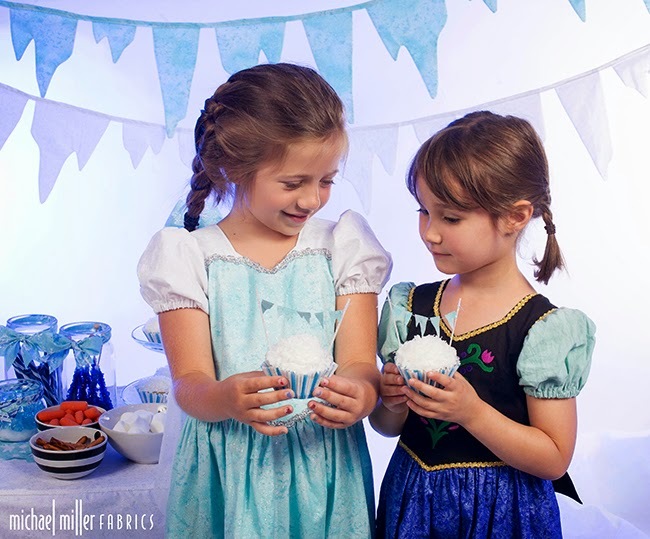 The dresses above were made using Fairy Frost by our friends over at Jessica Inspired Boutique. 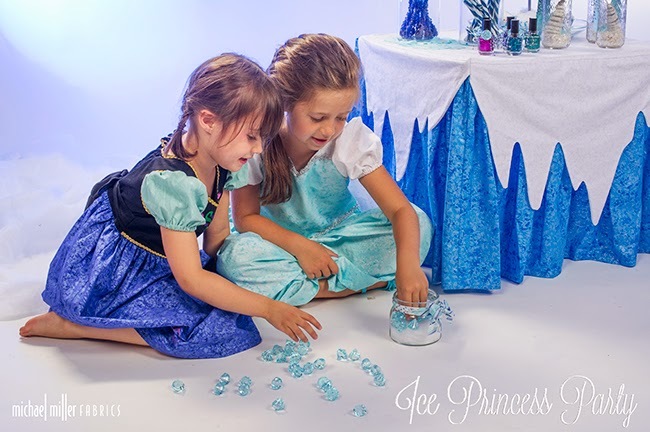 We wouldn't have been able to pull off this Ice Princess Party without them! 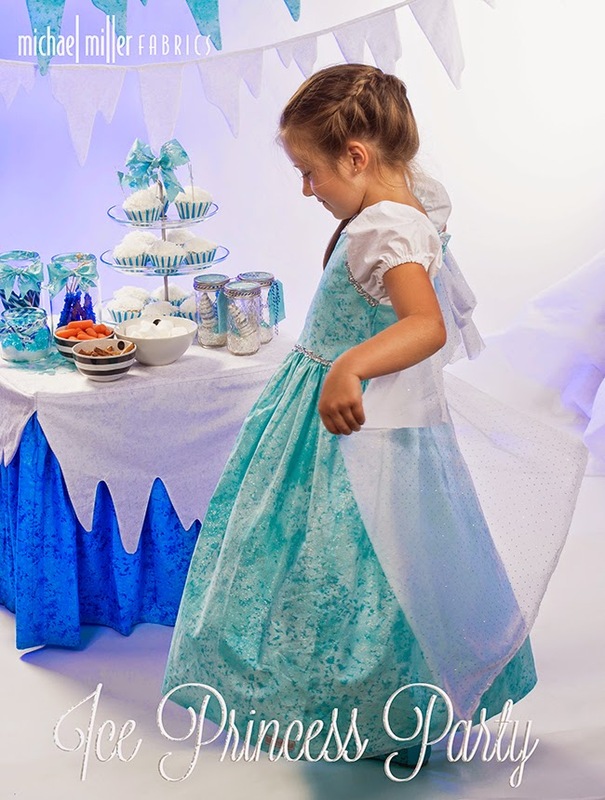 Next stop, the Ice Palace and the Treat Table! 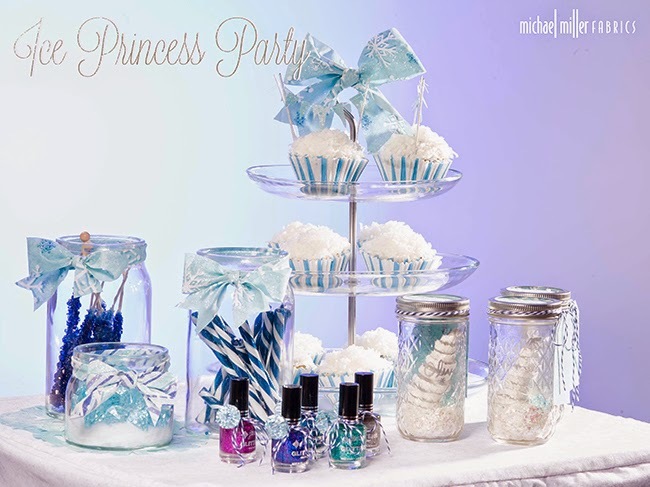 I used Fairy Frost for almost all of the decorations- The table topper, the chair covers, the icicle bunting, and the bows that decorate the jars! Even though I worked hard on the details, the dresses were definitely the stars of the show! *click here for a link to the dress above. It's sewn using MMF Fairy Frost in Midnite and Jet Black. I found the blue and white striped baking cups at Ikea. Party City has tons of blue candy (they actually have their goodies separated by color so that made things easy!) I found "Magical Ice Wands" aka rock candy and striped candy sticks along with some pretty aqua gem stones. 2. "goodie jars" filled with snow, a white tree and an ice crystal. 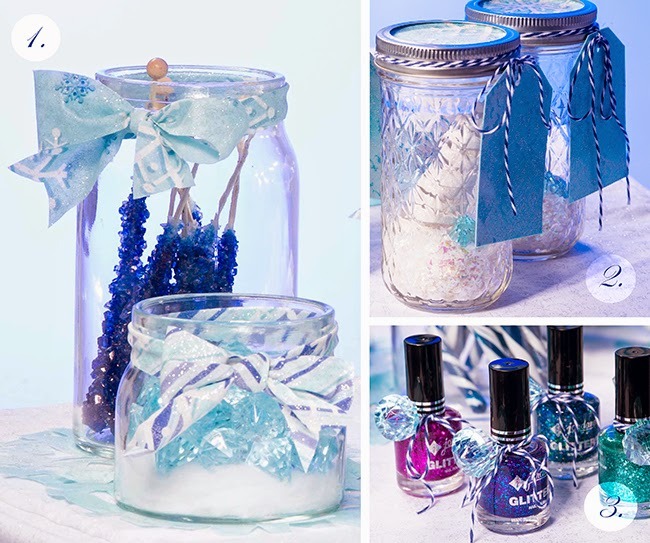 *I used mason jars and baker's twine and I added a little bit of sparkly Fairy Frost to the lid so the girls would get to take home a little winter wonderland. 3. glitter nail polish, of course! 4. Marshmallows, carrot sticks and pretzel sticks aka a deconstructed snowman! The bowls are really cute- they have a line of black dots on the inside, just like a snowman's buttons! I'd love to make icicle bunting out of all of the colors and you can too! Click on this link for a free Icicle Bunting tutorial! Or, make an icy quilt for your favorite princess! 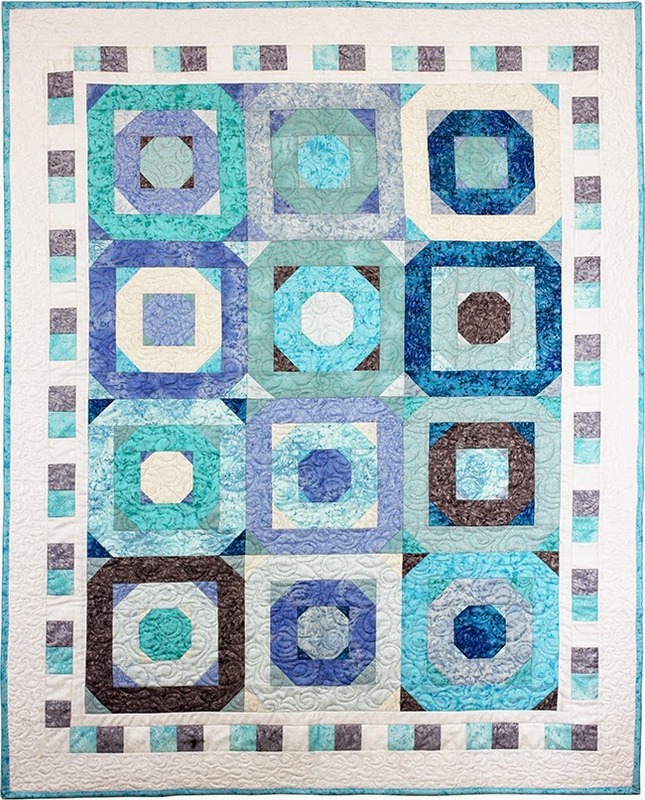 Click on the quilt below for the free pattern. Have a wonderful weekend and don't forget to visit Jessica Inspired Boutique! I have to post just one more :) Love them! Amazing! What colors did you use for the dresses? 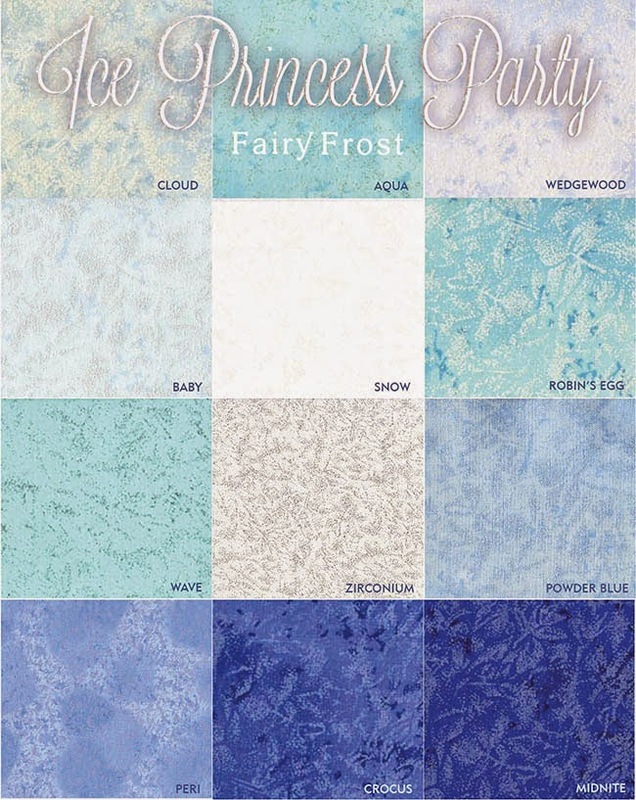 We used Fairy Frost in Cobalt and Luna for Anna's dress and Aqua and Zirconium for Elsa's dress. 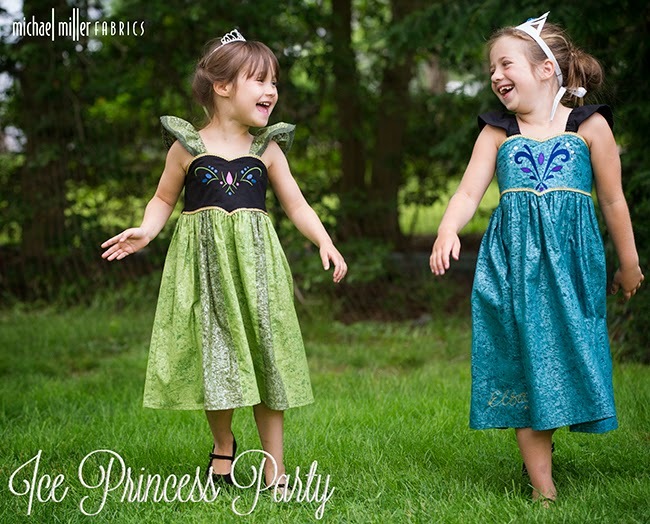 What patterns did you use for these lovely dresses? I used Fairy Frost in Luna for Elsa's dress. My daughter just loved it very much. Happy (almost) 4th of July! !